Inadequate intelligence about the LRA: Efforts to apprehend the LRA's senior leaders and protect civilians from attack lack real-time intelligence about the locations and activity of the LRA. There are a number of reasons why real-time intelligence about the LRA is very difficult to collect. The LRA's vast operating area. The LRA operates in an area that spans more than 115,000 square miles and stretches across several countries. This area is approximately equivalent in square miles to Arizona or Côte d'Ivoire. Too few troops actively pursuing the LRA. The governments of the LRA-affected countries have provided 2,860 troops to the embryonic African Union Regional Task Force that has been tasked with tracking and ending the LRA. The number of troops actively pursuing the group's senior commanders, engaging with communities about LRA sightings and activity, and protecting civilians is much lower. Gathering of human intelligence—information provided by communities, park rangers, nomadic groups, and others in the region—is especially critical, but is hampered by the small number of active troops in LRA-affected areas. Access. The troops are not able to operate in all of the areas where the LRA is present—a problem that severely limits their ability to track the group. The LRA has found safe haven in the Democratic Republic of Congo and the Kafia Kingi area that straddles the contested Sudan-South Sudan border. These areas are off-limits to the Ugandan army—the only force consistently tracking and conducting offensive missions against the LRA. 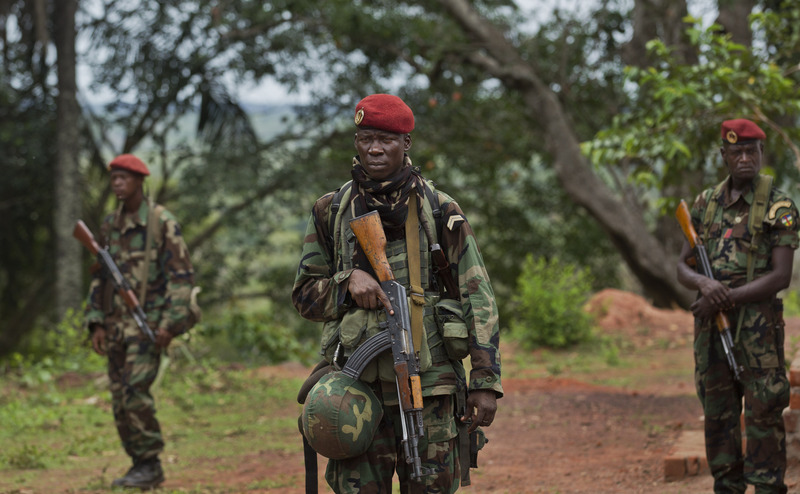 Recently, the Congolese government committed troops to work in conjunction with the A.U. Regional Task Force, giving the effort access to portions of Congo. However, the effectiveness of this new arrangement remains to be seen. Kafia Kingi remains outside of the Task Force's operating area, thus, little is known about the LRA groups hiding there. Read Issue Brief 1: "Ending the LRA"